We covered Mansi and Chirag’s portraits last year and it was one of those rare shoots that made it to our blog. We were all the more excited for their wedding. Did you even notice how their aura has this unexplainable glamour element? If their portraits were this beautiful, can you imagine how gorgeous their wedding photographs would turn out to be? Mansi turned out to be a really unconventional bride. She ditched the usual tones of reds and maroons and decided to don pastel shades of pink. She turned out to be a vision in her champagne tinted lehenga and understated yet intricate jewellery. Chirag being a perfect partner, coordinated his outfit with Mansi’s and he couldn’t have looked better. It is rare to find a groom who looked as dapper as Chirag. 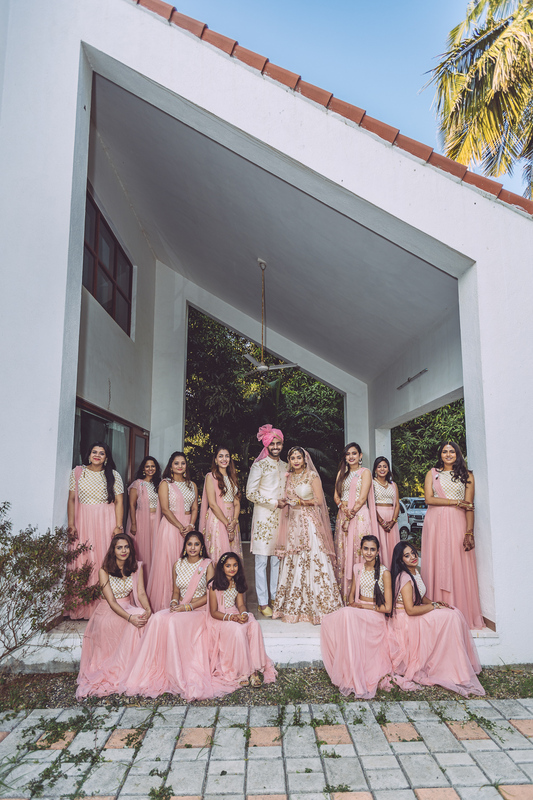 Even this tight bunch of bridesmaids managed to rocky candy pink. 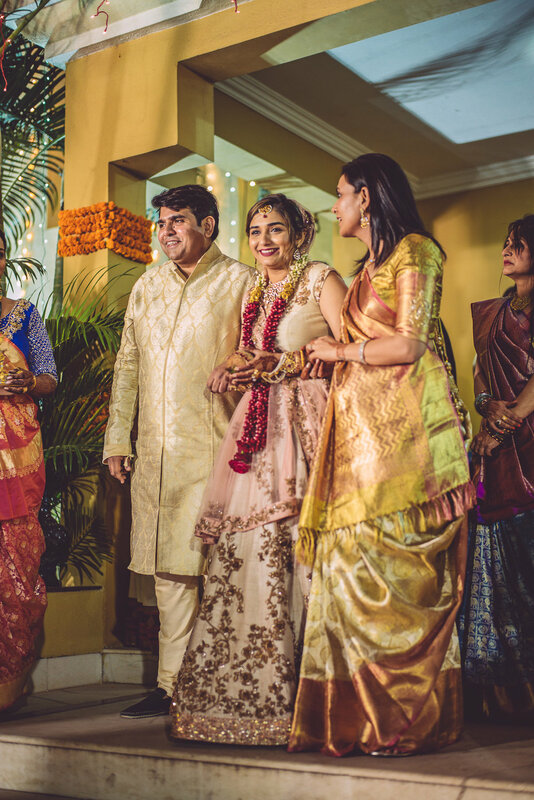 Mansi was indeed a very lucky bride, when it comes to the groom and bridesmaids. There is such etherealness to Mansi and Chirag’s chemistry. There's friendship, banter and love working in such a beautiful tandem that made them a photographer's delight. The photographs turned out to be so elegant and nobody held back on emoting freely. It gives us such joy to witness and capture people who don’t hold back. Nothing makes a photograph as beautiful as emotions. It is something that can’t be created, nor tampered with. It gives us more joy to get a chance to retell such memories.